If you need to take a survey or poll, for just about any reason, you've got a lot of choices. And if you only need to answer one or two questions, only one time, then offline polling or simple mechanisms such as Google Forms may work fine. If you want a robust polling platform, deeply customizable, with a solid set of features for complicated surveys and a useful statistical analysis and summary system, then take a gander at LimeSurvey. LimeSurvey is released under the GPL, and a number of companies provide commercial hosting and support, so you can use it without having to set it up on a system of your own. LimeSurvey's installation instructions are clear and easy, and the list of dependencies is not strenuous—MySQL or PostgreSQL, PHP 5.5 or higher, and a web server of your choice. There is a short list of PHP modules that are needed, all of which are easily installable via your package mananger. After installation, you can immediately begin setting up a survey. 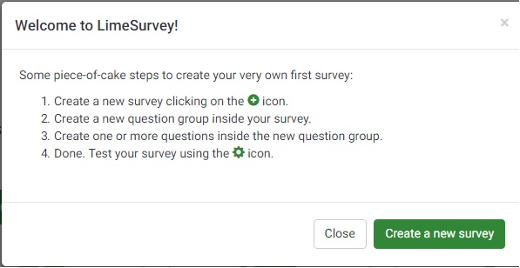 With basic parameters for the survey in place, such as its introduction and conclusion text, outbound link, and whether or not the survey anonymizes results, you're ready to add one or more Question Groups. The groups can be ordered in any way you like, and each group can contain one or more questions. Many question types are supported—free-text, multiple-choice, and many more, including commonly used ones such as calendars, gender, yes/no, and 1-5 "ratings" choices. Based on the answers a user gives, you can create maps that allow the survey to show questions selectively; an example would be to ask the participant's gender, and if the user selected 'Female, then ask a set of questions relevant to women, but if another choice is given, not ask those questions. You can test your survey, without saving results, until you activate it and make it visible. The main administration interface is clean and simple, and all functions are intuitive and easy to use, even without the extensive online documentation, accessible from a link on every page. Once your survey is up and running, you can view it and look at the results any time. When your survey period is completed, you can end the survey, and no further results will be recorded. Extensive filtering options make getting clear views of the results easy, and you can export to a number of formats for deeper statistical analysis. From simple satisfaction surveys, to complicated study instruments, LimeSurvey can meet the need. 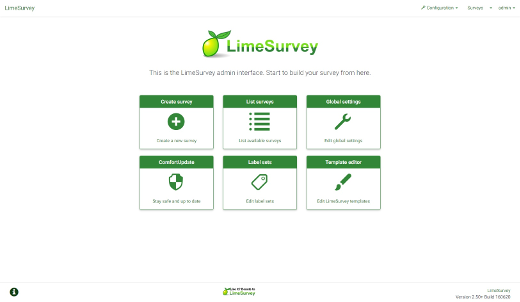 The active developer and user community can help you make LimeSurvey useful for any information-gathering need. Check out LimeSurvey and let me know what you think. This is great. I was recently asked to look at how much it would cost to "white label" (remove the branding from) a popular commercial survey generator. It was >USD$1000/year. I wish I had known about LimeSurvey. Thanks for your note. I was impressed with the template editor in LimeSurvey--it's a little bit arcane, unsurprisingly, but if you're hand-hacking HTML/CSS, it's *going* to be a little tricky. But it gets the job done! Limesurvey is one of the most underrated pieces of softwarre i have come across. For surveys, there is simply nothing available with so much power and flexibility. I have used it on and off for a number of years when need arises including the creation of themes and question types. it needs much more attention though as development feels starved, theres not much in the way of guidance and (in my opinion) some odd choices have been made which can lead to frustration as the admin interface has been very poor. If involved with web development and looking for a project to support, limesurvey could use you.